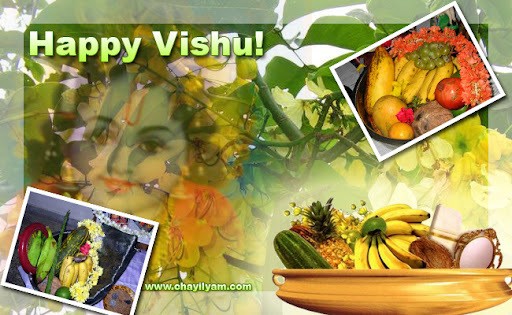 Vishu festival is the dawn of another new year and is regarded as the main harvest festival throughout Kerala. Observers worship their god, Vishukkani with various traditional articles like cucumber, betel leaves, raw rice, yellow flowers or kani konna (Cassia fistula), arecanut, fresh linen, metal mirror, a holy text with coins in a bell metal vessel known as uruli, lighted bell metal lamp called nilavilakku. Entire arrangement is complete on the previous night so they would walk to the puja room next morning with eyes closed and Vishukkani would be the first object to see as they would open their eyes.